United States > District of Columbia > Washington Hotels > The Ritz-Carlton Georgetown, Washington, D.C.
With its iconic smokestack dominating the neighborhood skyline, The Ritz-Carlton Georgetown, Washington, D.C. is one of the most distinctive hotels in Georgetown. This landmark boutique hotel in D.C. today incorporates the historic renovation of an turn-of-the-century industrial building erected in 1932, and serves as an integral part of the Georgetown cityscape. 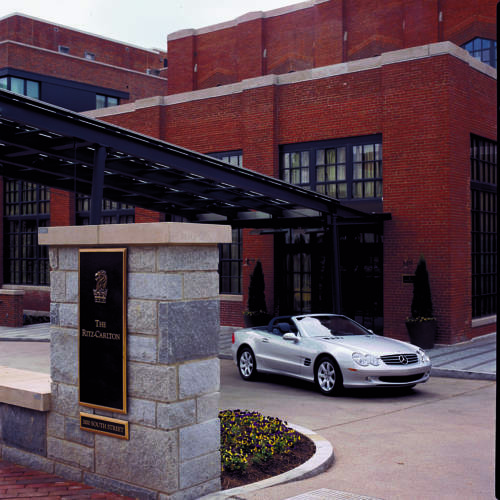 Although rooted in history, our Georgetown, D.C. hotel offers luxurious modern comforts that exceed every expectation. Featuring oversized guestrooms and luxurious suites, the accommodations, communal spaces, and corridors at The Ritz-Carlton Georgetown, Washington, D.C. are stylishly decorated in sleek, modern furnishings. The rich Earth tones blend with burgundy red, and siltstone, beautifully accentuating brick and iron architectural details. Degrees Bistro: Features hand-crafted cocktailing and artisanal dishes prepared with care and served with the utmost level of attention. The Living Room: The Living Room offers a warm, cozy, and comfortable ambiance featuring exposed brick, a dramatic wood burning fireplace, luxurious lounge seating, and inspired d cor. Cozy up and order the perfect martini in one of Georgetown s most intimate spaces. The Yard: Sunsets and chilled cocktails mixed to the beat of a DJ roll into lazy weekend brunches with seasonal cuisine set in a plush garden environment.